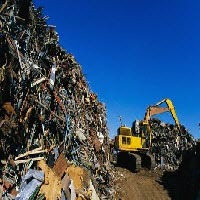 Currently, US supplier sold H1 scrap at US$459/ton C&F to South Korean Hyundai Steel for May and June delivery. Currently, US supplier sold H1 scrap at US$459/ton C&F to South Korean Hyundai Steel for May and June delivery. The prices have increased up slightly by $ 0.5/ton comparing to the previous transaction price of US$458.5/ton C&F. 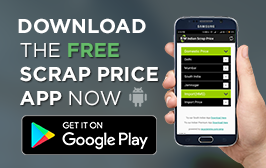 However, H1 scrap prices remained unchanged in Pittsburgh, Chicago and Philadelphia for 3 weeks in a row and the average prices were $399.17/long ton on April 30th, 2012. Meanwhile, Pittsburgh H1 scrap average prices were at US$389.50/long ton and US$404.5/long ton was in Chicago and US$403.5/long ton was in Philadelphia, all prices remained flat from a week earlier. Further, in New York, Boston, and Houston the average prices of H1 scrap remained unchanged at US$367.5/long ton in due course. hi sir i want to know about the pet bottles.